If I had to pick my favorite show on TV, House would be way up on the list, if not sitting at the top. Being a fan of British comedy I was already a big Hugh Laurie fan but this show has sealed his spot as one of my favorite actors of his generation. The rest of the cast has really grown into their roles and how can you not like a show with Neil from The Dead Poets Society (Dr. Wilson) in it? Anyway, in keeping with my recent trend, I’ve studied the show and come up with a few lessons bloggers should learn from the pain-killer addicted jerk of a doctor who ironically is one of the most likable characters on TV. In the first couple of seasons this lesson probably would have titled “Everybody Lies” but this year the writers have stopped pounding that point home and it’s morphed into the “Question Everything” you see now. However it’s phrased, we see the lesson in every episode. Whether it’s a patient lying about having an affair or using drugs, or it’s a life long deformity that’s actually a symptom of the underlying illness, House and his team have to question everything to find the cure. Now obviously we as bloggers are not dealing with life and death issues and I certainly wouldn’t recommend you send someone to break into people’s homes the way House does, however, the lesson most definitely applies to blogging. Whether you’re brand new to the game or you’re a seasoned pro, you should be constantly questioning aspects of your blogging. Just because this affiliate program performs ok for you, are there better ones out there? Can you format your posts differently to improve readability? Are there other methods of monetization you haven’t thought of before? Would moving your subscribe button convert more visitors into subscribers? Basically, in blogging there should be no “sacred cows.” Just because your or someone else has always done something that way, doesn’t mean there aren’t better ways to do it. If you’re willing to keep your mind open and question any and every premise or strategy, you’ll constantly improve your blog’s performance. Some of my favorite scenes in the show are the interactions between House and his team. Everyone gathers around a board with the list of symptoms and they try and come up with diseases or explanations that fit all the symptoms. Usually House lets his team do most of the talking and brainstorming, jumping in only to mock bad ideas and at the end to hand out the orders. Even when House has one of his “Ah hah!” moments, he’s almost always talking with someone else. Something Cuddy or Wilson says invariably triggers an idea for House and just like that, the case is solved. This lesson illustrates what I view as one of the few weaknesses of blogging. When it’s just you and your computer it can be really difficult to keep your thought process from settling on one idea or one way of thinking. A lot of times I find I need someone else to help derail my train of thought before I can be creative and productive again and brainstorming is exactly that. Get together with a couple of other people (preferably in person but via chat or something similar if necessary) and bounce ideas off them. Post ideas, monetization methods, strategies, just talk about your blog and where it’s headed. Even if the people you’re brainstorming with don’t provide solid ideas, they’ll likely inspire a new idea that you hadn’t considered before and that’s exactly what you’re after. A lot of people think House is some sort of infallible genius that’s never wrong. In reality, that couldn’t be further from the truth. Granted, he almost always figures out what’s wrong with the patient and cures them, but there have been a whole series of failures leading up to that point. In a recent episode House was recruited by the CIA to help cure an agent they believed had been poisoned. Rather than accepting the notion that the man had been poisoned (question everything right? 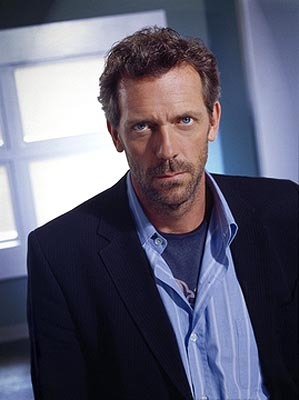 ), House decided his illness was in fact due to alcoholism. Unfortunately, House was wrong. Someone had actually poisoned the agent. While most of us would view being wrong as a bad thing, being proven wrong allowed House to eliminate one possible cause and hone in on what was actually making the patient sick. House is certainly not the only example of this lesson. Oscar Wilde was quoted as saying “Experience is simply the name we give our mistakes.” Similarly, Thomas Edison once said “I have not failed. I’ve just found 10,000 ways that won’t work.” While neither of those men ever had a blog, the lesson is one that would serve bloggers very well to learn. Be daring enough to state your opinion on a subject. Be confident enough to try out a new idea or strategy. Of course you won’t always be right and your ideas won’t always work as planned but there are valuable lessons to be learned from failure. Not only that but if you never try new ideas, you will always miss the ones that would have been successful. Well there you have it, three BIG lessons we can learn about blogging from watching one of the greatest shows on TV, House. Just remember, you’ll probably want to make sure you’re as good as House before you start acting too much like him. At least if you’d like to still have some readers. As always, if you disagree with me or want to add other lessons on that I didn’t cover, please feel free to in the comments below. House MD took over from M*A*S*H as my all time favorite TV show after the 1st season. I have just completed Season 3, which I thought end on a high note. You really have a keen eye to be able to extract blog lessons from House. I wonder if a blog written by House would be the most entertaining blog on the web. Diane is a really really good writer. Oh yeah, not sure if this is the first time you hit it, but congrats on hitting the big 500 (currently 504) in subscribers count. I wish I have half of yours. Literally. @ bmunch, heck yes! M.A.S.H was a great show. I have a bunch of seasons of that on DVD. Oh, and it’s not the first time I topped 500 but it’s the first time without the number being inflated by a Digg. OMG! I love the show House. This is actually a post I really want to read Not that I don’t read your other posts, but you know what I mean. Great post, I absolutely love house. Ben, are you sure you do not have access to my DVR, it seems like every show your review I watch. I guess us St. Louisians have unknown mental links to the same things. Your third one about being wrong is so true, and not just in blogging. I fix a lot of computers and people always ask me how I know so much, and it all boils down to trial and error (usually more error) and figuring out 10,000 ways how not to fix a computer. Anyway another great job and keep up the good work.